ISLAMABAD: China Overseas Ports Holding Company (COPHC) and Gwadar Port Authority (GPA) are jointly organising the first ever international exhibition in Gwadar Free Zone on January 29-30, 2018. Meanwhile, Gwadar Free Zone (Phase-1) will also be inaugurated during the expo. 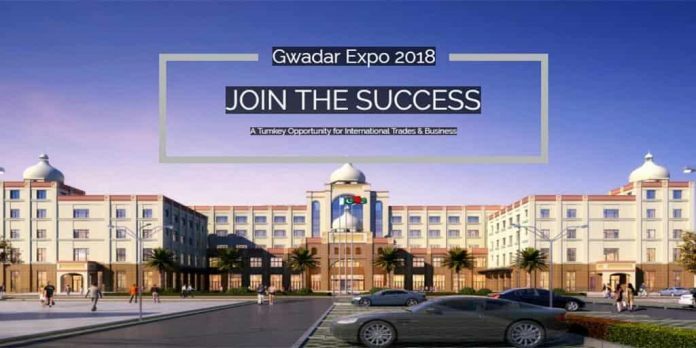 The expo is set to be a mega event in Balochistan’s history which would help the exhibitors and the participants to understand the real potential of Gwadar port. Meanwhile, China Overseas Ports Holding Company Chairman Zhang Baozhong said in a video message that COPHC and GPA are initiating series of events by organising the first ever International Exhibition ‘Gwadar Expo 2018’ in Gwadar Free Zone. He said this event will prove to be a milestone for the mega project of China Pakistan Economic Corridor (CPEC). He further said this event will boost economic cooperation not only between Pakistan and China but also with Iran, Afghanistan and the Middle East. Earlier, during a meeting between Chinese Embassy Deputy Chief Mission Lijian Zhao and Planning Secretary Shoaib Ahmad Siddiqui, both sides expressed satisfaction over preparation for first Gwadar Expo and inauguration of Gwadar Free Zone (Phase-1) and said that the expo has attracted huge interest from local and international investors.